“Growing up, I studied Martial Art because I realised it was the only sport I was good at. 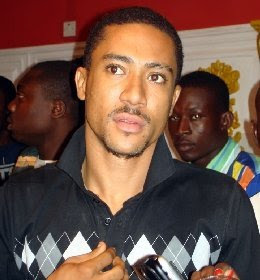 When I started, I trained so hard that I killed my shin cell so if anyone tries to kick me in the shin, I’m sure he will get hurt and I’ll just be staring at him.” This was how ace Ghanaian Actor, Majid Michel described himself on Joy FM ‘Drive Time’ programme. Majid revealed that when he was young, he was not fond of school but one thing he enjoyed was to train hard so he could become good at Martial Arts and that his favourite sport was “Kung fu”. “Everyone started to see me as a tough dude and when they asked me how I did it, I told them it was all about constant training,” he said. Majid began his acting career when he got a role as “Shaker” in the theatrically successful TV series ‘Things We Do for Love.’ Following his success, he made a smooth transition to the big screen when he appeared in his first movie “Divine Love,” alongside Jackie Appiah, and Van Vicker. He has since starred in a lot of Ghanaian and Nigerian movies such as; Silent Scandal, Crime to Christ, Agony of the Christ, 4 Play Reload among others. Now that is what I call passion! The thing I admire most about Mr. Majid is that he is fully aware of what his talent is. He did not ask or wish for more, but instead, he holds on to that talent and focuses on improving himself in the field of Martial Arts. Clearly, his dedication and enthusiasm are serious that he became physically fit and strong after all these years of training and hard work. “Everyone started to see me as a tough dude and when they asked me how I did it, I told them it was all about constant training,”-- This is also what I tell other people whenever they ask me how I ended up being brave and strong. Through martial arts training, I learned a lot about self-discipline and the proper way to defend myself from those looking to bring harm upon me.